He argued that by establishing an independent Kurdistan, the Arab world will be forced to be more focused on the Iranian threat and Neo-Ottoman ambitions rather than thwarting an independent Kurdistan in order to save Iraq and Syria as independent Arab states and compromising with the Iranians and Turks on the Kurdish issue. This enables them to cooperate more with Israel. In an exclusive interview, Syrian Kurdish leader Sherkoh Abbas introduced a novel idea for promoting peace between the State of Israel and the Arab world. 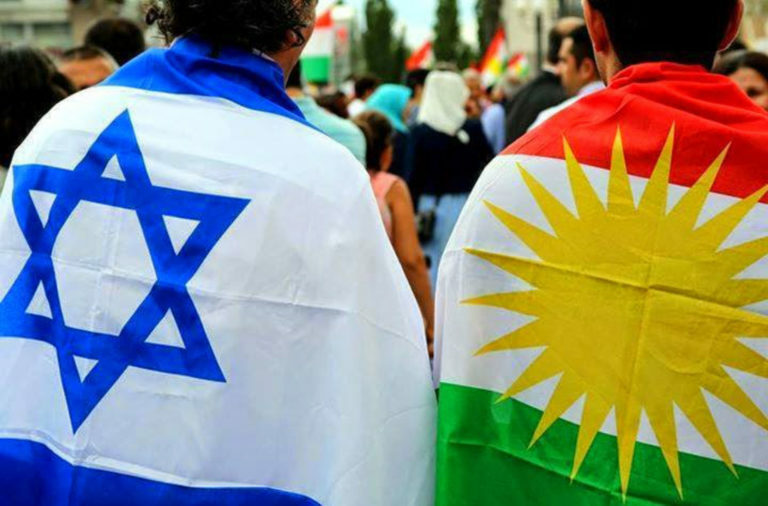 The center of his idea revolves around the fact that both the Kurdish and Jewish peoples are outcasts in the Middle East, who are despised beyond logical reason. According to his arguments, the Arab countries will always unite with Turkey and Iran in order to thwart Kurdish independence in order to keep the Kurdistan regions of Iraq and Syria within these current Arab states and until recently, also to be against Israel. In recent times, the Arab countries have warmed up to Israel, as demonstrated by Israel’s close relationship with Sisi’s government and Israeli Communication Minister Ayoob Kara’s meeting in Ecuador not too long ago. However, despite these positive developments, Abbas argued that Israel’s rapprochement with the Arab world rests on shaky grounds for he claimed that even if the Arab countries are wary of Erdogan’s neo-Ottoman ambitions and the Shia Crescent to the point that they are willing to cooperate with Israel, their desire to thwart Kurdish independence allows them to overcome their differences with the Turks and Iranians and to unite with their enemies, a reality which makes rapprochement between Israel and the Arab world more difficult. “When I was in Syrian Kurdistan, most of the Arabs including the Syrian Opposition and the Syrian regime views Israel as a dagger in the heart of the Arab world from the Persian Gulf to the Atlantic,” Abbas related. Abbas compared this to elements of the Syrian Opposition who accused Israel of cooperating with the Al Nusra Front: “They always invent conspiracies. Iran and Assad have some element and units called ISIS on demand that attack the minorities and Kurds in order to force them to cooperate with the regime. Also, they want to portray Sunnis or any rebels as ISIS terrorists to get Iran and Assad out of isolation and to make them more favorable and acceptable or better than the alternative. When Iraq started to take shape towards being divided and the same in Syria, they spread conspiracy theories or accusations. They say America and Israel are trying to divide Syria. This is what Turkey is spreading. Iran and Assad also.